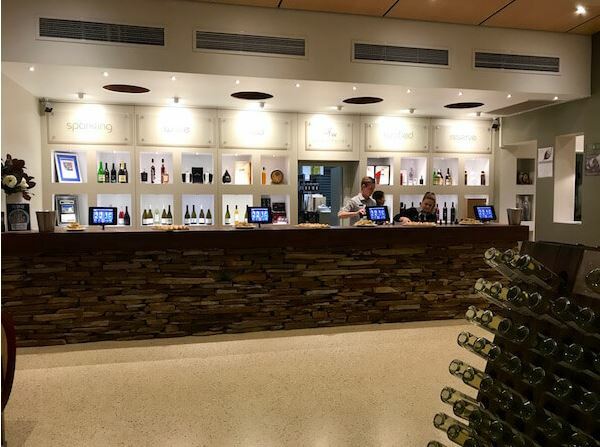 Set in a modern building just off the Great Northern Highway, Olive Farm Wines is actually the oldest vineyard in the Swan Valley. It was first started way back in 1829 (there is another very high profile winery claiming this honour but it isn’t true! ), which is real history for WA. The cellar door staff are super friendly and knowledgeable, and I’m not sure if I should be proud or embarrassed that Steve the manager knows me by name! They have an amazing collection of wines and it’s so hard to pick my favourites, but the Shimmer Sparkling has got to be up there along with their Petit Verdot and oaked Semillion. Just a bit further south from Olive Farm Wines, you’ll find Sittella on Barrett Street. Sharon at the cellar door is a complete hoot (well she is Irish!) and will take you through every wine on the tasting list if that’s what your heart desires. Just make sure you have a designated driver! I love their Sparkling Chenin Blanc and their Shiraz. The restaurant on site is top notch too. If you want to impress visitors with stunning views and beautiful food, this is the place to take them. A more casual setting awaits you at Pandemonium Estate. 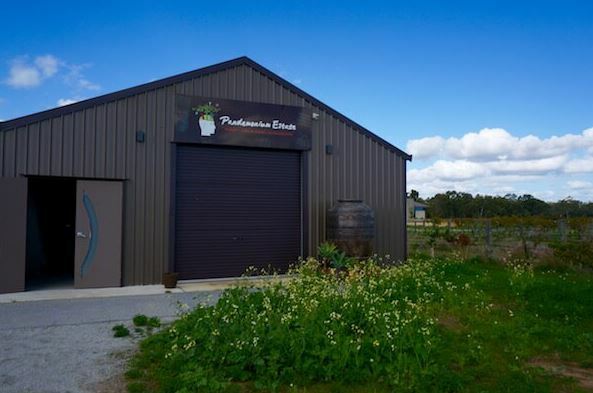 Close to Olive Farm Wines, this cellar door is a relative newcomer to the Swan Valley, having opened in late 2015. I visited with my bestie when she was in WA visiting family (and me!) and we both loved the vibe of the place and the lovely and very affordable wines. All their wines are named after demons so have awesome names like Barbas and Asmodius. I loved their Moscato and Chenin Blanc. They’ve also started offering food so you can grab a glass of wine and some snacks, then relax and enjoy the panoramic views. 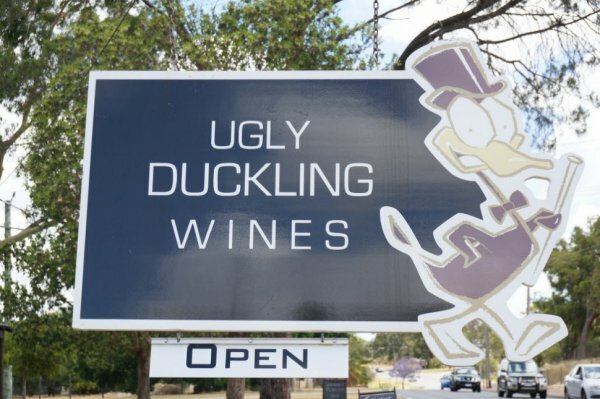 If you love wine and pies, Ugly Duckling is the winery for you! Not only do they offer a range of lovely boutique wines, but their casual garden restaurant serves gourmet pies and platters too. Their Chenin Blanc and Shiraz were lovely and we may have bought a bottle or two to take home (it would be rude not to!). Twin Hill Wines was actually the first Swan Valley winery we ever visited way back in 2013. It’s a small and rustic cellar door, with friendly staff who more often than not are the family that own and run the vineyard. They also have cheese and olives available to taste and buy, so don’t forget to bring a cooler bag and some ice packs (unless you want your car to smell like cheese for a week!). Their wines are simple but good, and I LOVE their Tawny – it comes in a 2 litre bottle and for $18, it’s the best winter warmer ever! My lovely friend and fellow blogger Casey (aka the Travelling Corkscrew) took me to check out this gorgeous and unassuming winery a few months ago after we caught up for lunch. 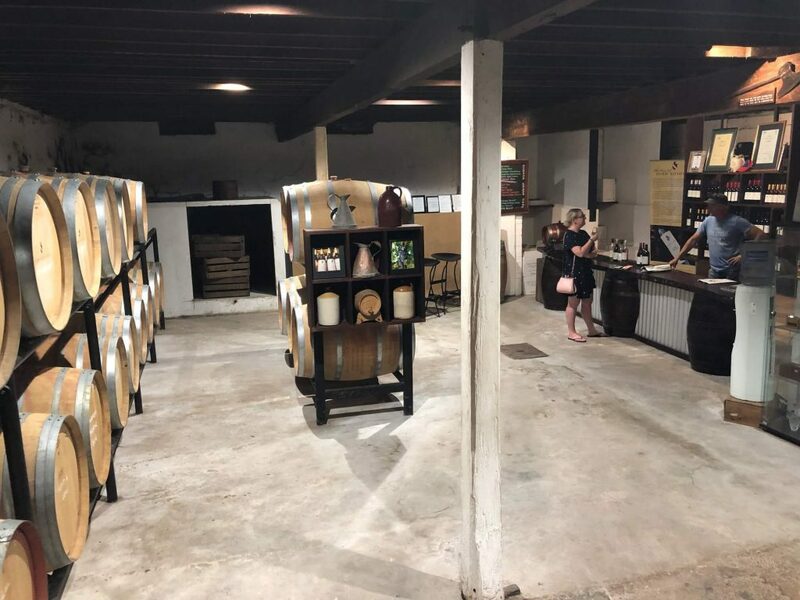 It was a hot summer’s day and I was pleasantly surprised to discover that their cellar door was actually in a cellar – underground! When it comes to the wines at John Kosovich, their aged Chenin Blanc is a real treat and I loved their Verdelho. 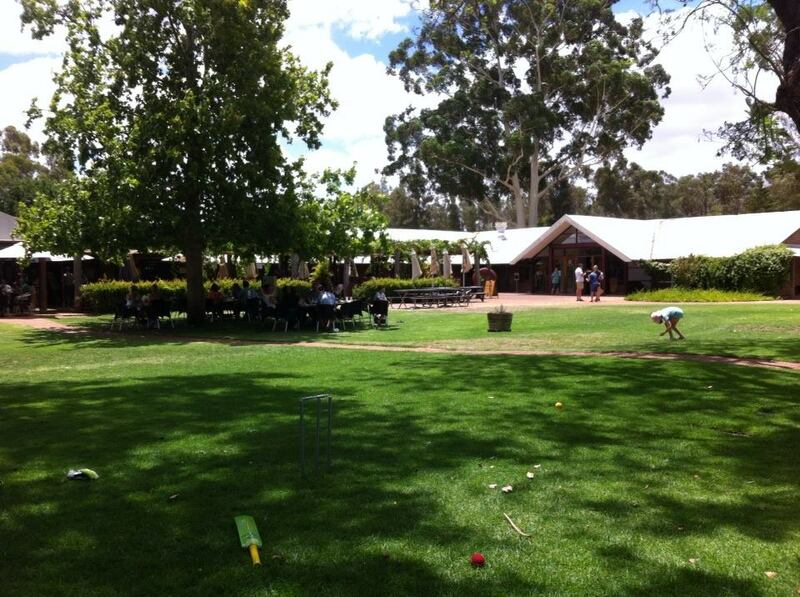 Definitely a must visit Swan Valley winery, for the wine and the location. 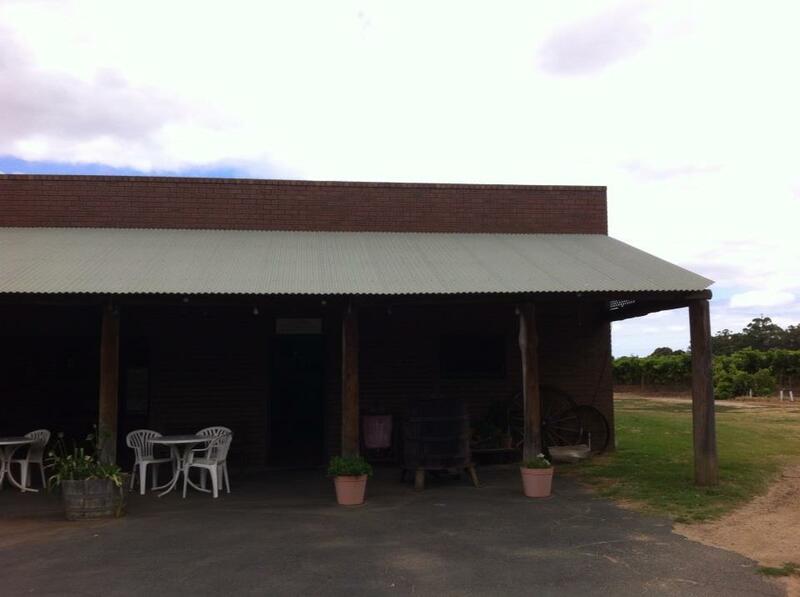 Tucked away at the northern end of the Swan Valley, you’ll find Upper Reach Winery. 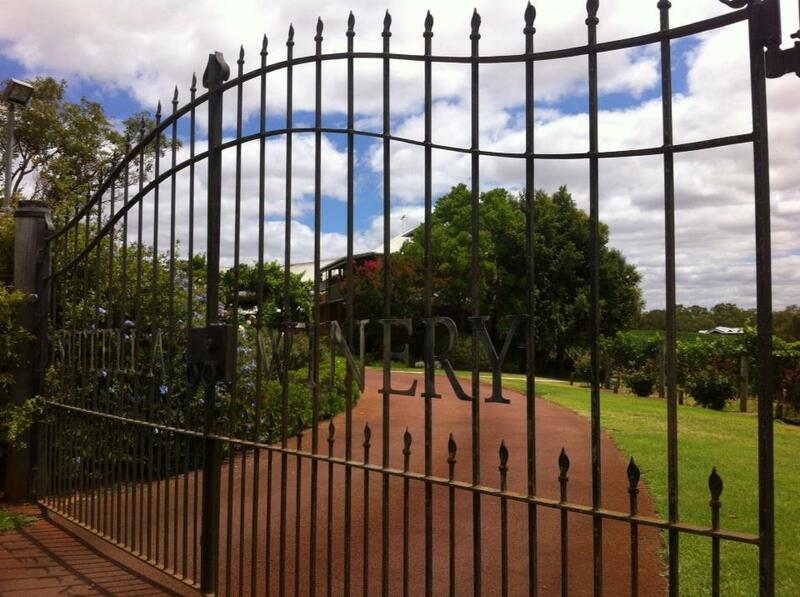 With one of the friendliest cellar doors around, you are sure to feel welcome here. We’ve visited a few times now and always leave with a bottle or 3 and a smile on our faces. They have a lovely restaurant as well which overlooks the grassy river bank – perfect for those lazy summer days. They have a lovely easy-drinking white called Black Bream (their logo is a fish so they’ve gone with fishing themed names for their range) and the Gig Shiraz Grenache is also fab. Now, I have to say, Houghton Wines is a very different experience to the others I have listed here. The cellar door is very commercial and is one of the few places you have to pay for a tasting. I’m not sure if it’s still the case but the first (and last) time we visited it cost $3 each to taste 5 wines. While the cellar door experience did leave me feeling a little cold, and the wines didn’t blow me away, there’s a reason I put it on the list. 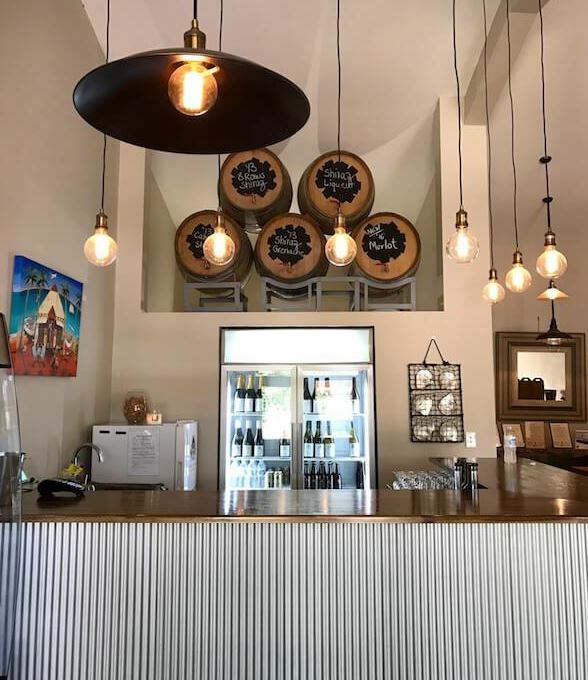 The setting for this winery is just gorgeous, and while they have a restaurant on site, they also welcome picnics which make it a stunning place to enjoy a picnic with family and friends in the countryside. If you want alcohol with your picnic though you need to buy this through the cellar door – no BYO allowed. 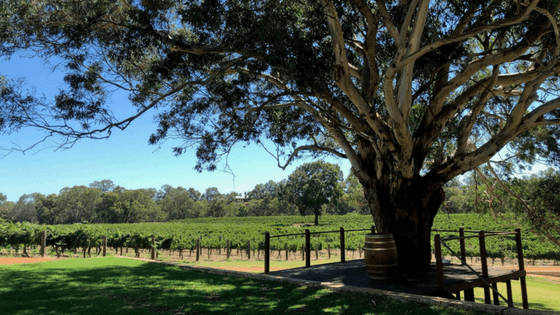 A cute little find hidden away in the Swan Valley, Fig Tree Estate is a small and boutique winery in the Swan Valley. 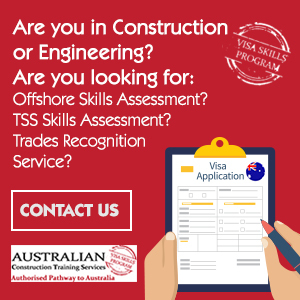 They’re family owned and operated so you get a real sense of it being a family business as soon as you arrive. They have two lovely dogs which hang around and look for cuddles from all the visitors! Aside from wine, they also make their own apple cider which is very light and refreshing. I loved their Sparkling Chenin Blanc and Verdelho, though it was really warm when we visited so I was swayed more to the whites than the reds on the day. Another great suggestion from Casey, the Travelling Corkscrew, was to check out Pinelli Estate Wines. It’s right next to Maison St Honore, the French macaron factory and patisserie – do not miss this place! Established in the 1980s by the Pinelli family, an Italian immigrant family who arrived in the 1950s, you’ll find some gorgeous wines on offer here. I loved their pink Moscato and definitely try the Durif, a red varietal that you don’t see too often (Olive Farm does one too). 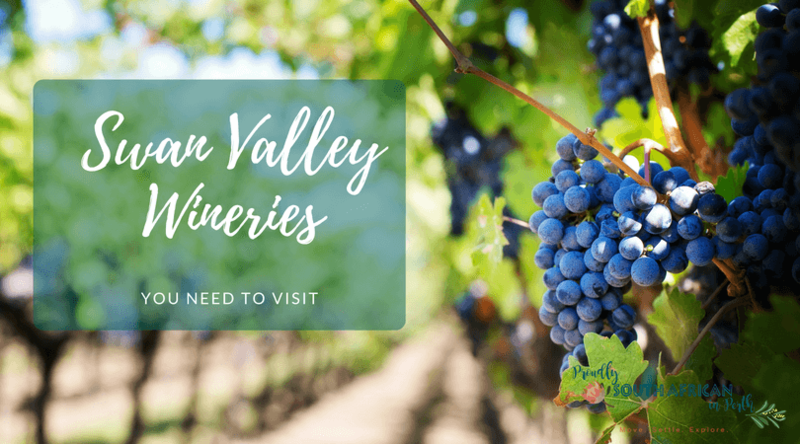 And that’s my list of Swan Valley wineries you need to visit. 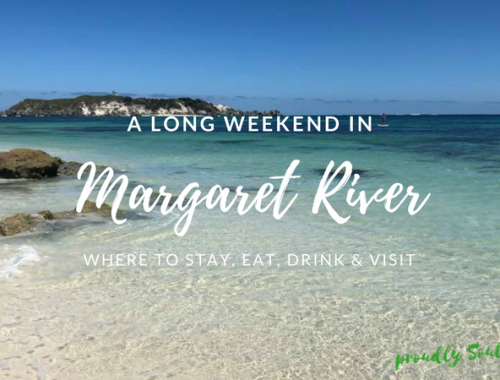 Of course, that’s based on where I’ve been so far, and as we love heading out and trying new wineries, I’m sure I’ll have to update this post at some point or maybe even write a part 2! 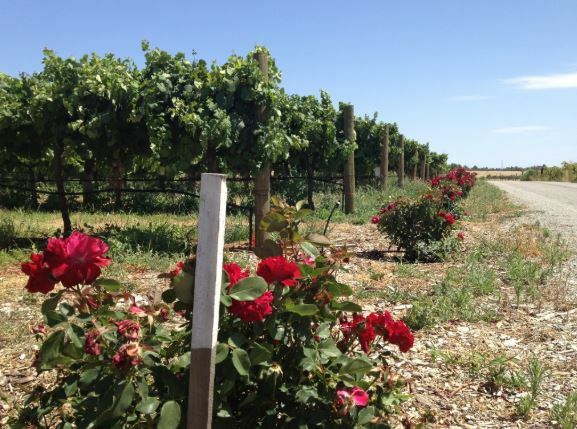 What are your favourite wineries to visit in the Swan Valley? Let me know in the comments as I’m always keen to discover new ones from personal recommendations. 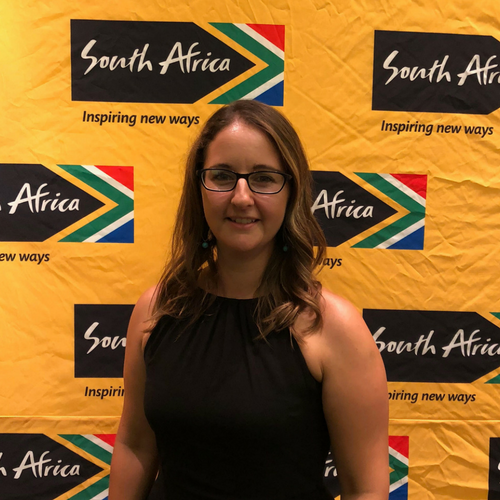 And if you know any with a South African connection even better! 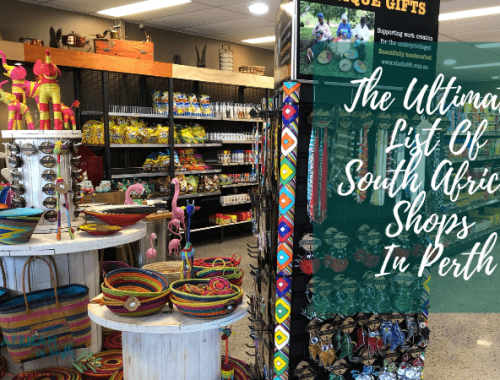 A big thank you to Casey from the Travelling Corkscrew for allowing me to use some of her photos for this post!